← W3_Zakiya_Which Gadget is Preferable to Buy? Posted on April 11, 2011	by Swastioko Budhi S.
BPMIGAS do it manually input for project data based on weekly or monthly report from the PSC or based on the report to other functions within the BPMIGAS organization. BPMIGAS are difficult to conduct surveillance and tracking progress against the Project. Project progress reports that are not standard among the PSC operating in Indonesia. 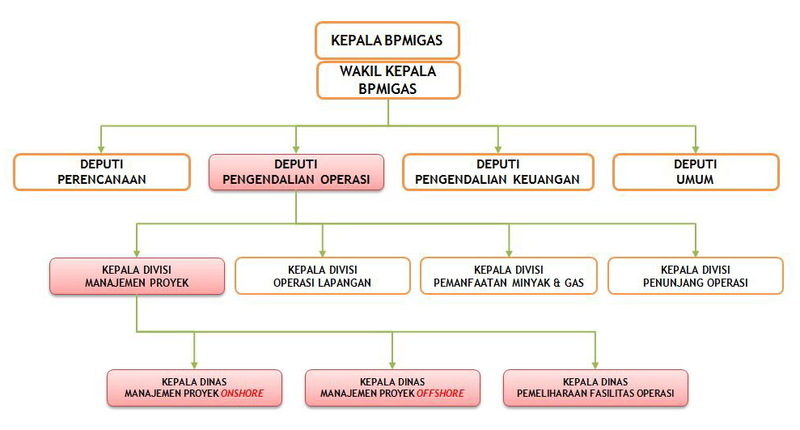 BPMIGAS internally requires an effective and efficient application tools and standard operating procedure (SOP) to perform its functions, particularly project control and monitoring conducted by the Production Sharing Contract (PSC) via Work Program and Budget (WP&B) and Authorization For Expenditure (AFE). 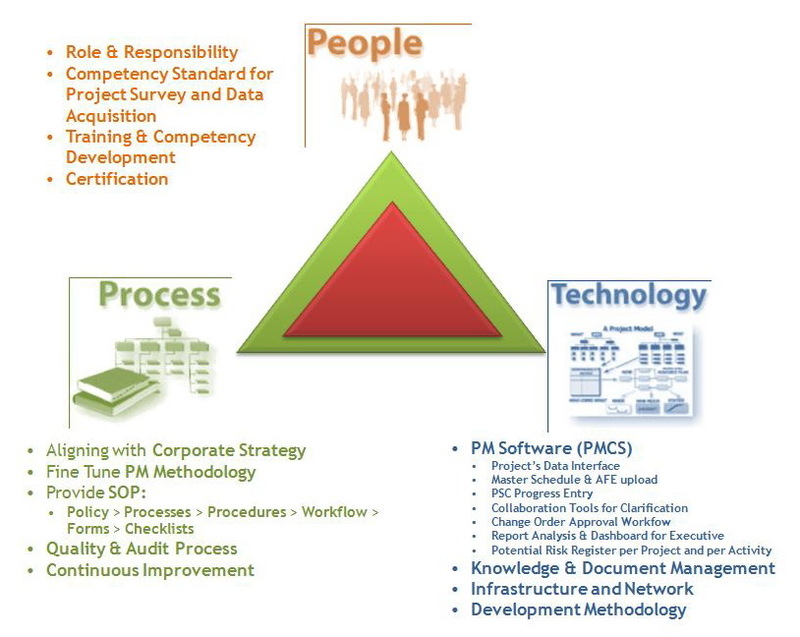 BPMIGAS in supervising and controlling the activities of PSC requires a tool or application to monitor the status of development projects more quickly and accurately as well as AFE and project performance. Risks, problems and change orders that arise throughout the project are important documents should be recorded into the system. BPMIGAS Executive can monitor the progress of various projects efficiently and effectively through executive dashboards that are automatically generated. Our approach will be carried out through three inter-related working stream which tackles all critical aspects of PMO/PMCS Organization. Provides Document Repositories for Project’s Document (Contract, Engineering, and other documents related to Projects). Provides IT Tools for Ongoing Project Monitoring & Controlling System. Provides Report and Executive Dashboard for Monitoring Projects. 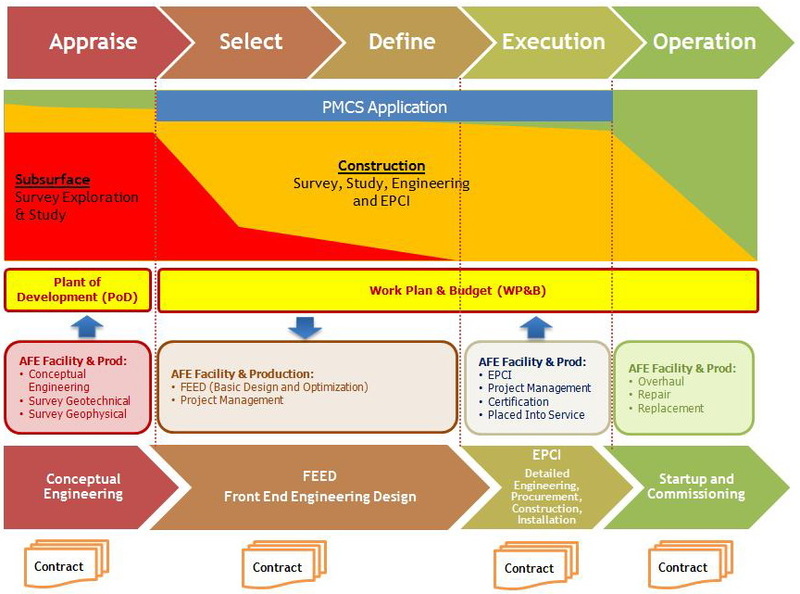 Provides Methodology for Program/Project Monitoring. Provides Organizations, Procedures, Form and Checklist for Enhance Program/Project Monitoring and Control Process. Provides Standard Competencies and Training. 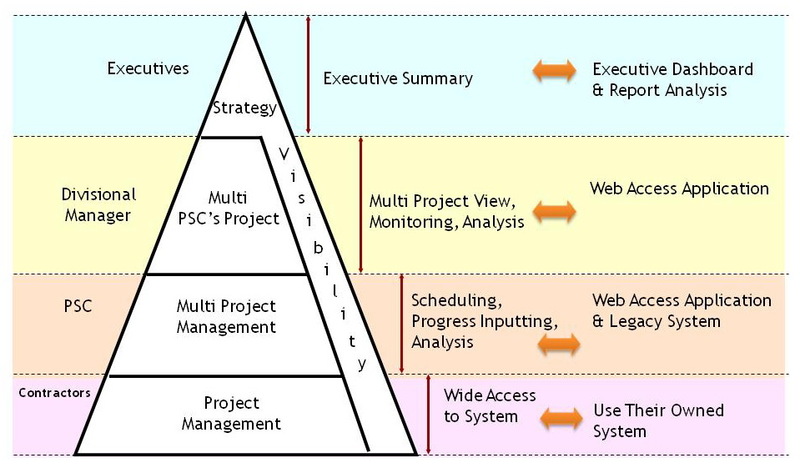 Project Management and Control System (PMCS) is a web based software package that consist of a powerful Project Management software and add-on applications suited especially for Infrastructure area in Indonesia whereas most of the progress measured by volume pay item or sub-contractor expenditures. Data entry, especially Project’s Progress Status and Change Order will be conducted by the PSC. Project data entry via intranet is converted into a public web based with the security level of data access according authority. Data will be managed by the Project Management Division. Executive dashboard for Project Status Report (Actual vs Plan). Project data is already available on other functions such as PSC data, Master Schedule, AFE Contracts, subcontractor, etc. can be uploaded into the System. 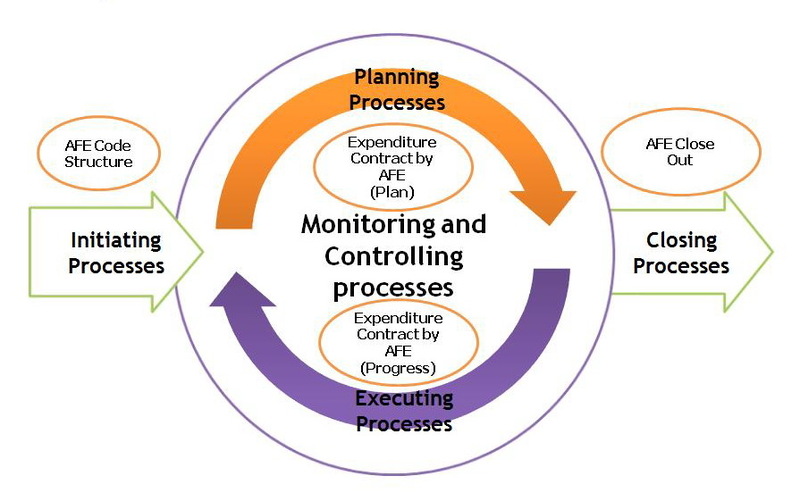 Data Monitoring & Control is based on Matrix Contract by AFE. 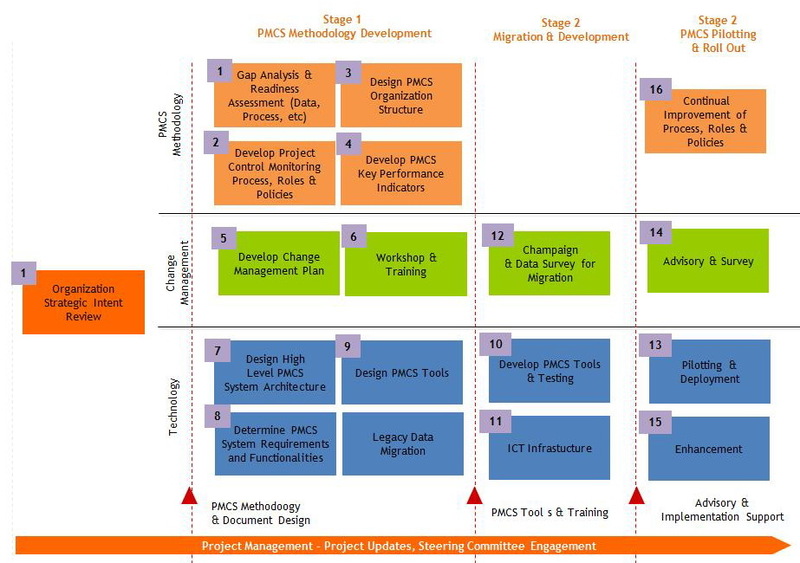 PSC is expected to fill the table / matrix that will be agreed in Microsoft Excel format (such as the table above) as a template to be filled with work plans and project progress per month for later upload. 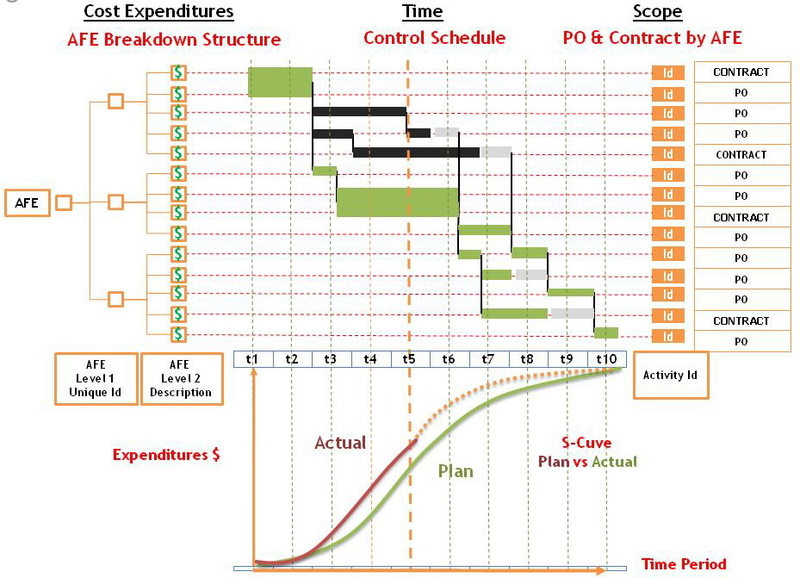 It is assumed the work plan is available per month of each contract for S-Curve can be generated from the work plan. Results of progress upload per month (per period) will produce Actual S-curve per Contract, including the S-Curve per PO. For the PO that has no duration, will not produce the S-Curve. All S-Curve can be combined to produce S-Curve Consolidation. 2. Sullivan, William G., Wicks, Elin M. & Koelling, C. Patrick (1942), Engineering Economy 15th Edition, Singapore: Prentice Hall, Inc. This entry was posted in Swastioko Budhi. Bookmark the permalink. Hmmmmmm, Pak Budhi. Wow, I don’t know where to begin. Your graphics are outstanding, and are putting a LOT of work into your postings….. BUT, it seems you are totally missing what I am looking for you to achieve or accomplish? Now for your feasible alternatives, what TOOL/TECHNIQUE that you are learning about in this class can you use to help solve this one problem? What you are showing us is what you are doing now, which is not working, right? Then your analysis would relate to which tool/technique is going to provide you with a “solution” or “fix” to your problem. My best suggestion to you would be to look to Candra or Adi to help mentor you in what I am looking for. Bottom line- I am asking that you redo your W3 posting, but next time, cut the scope down, rely less on existing BP MIGAS graphics and start to explore what possible solutions might exist in the materials I have provided you. Explained another way, instead of showing us what you are currently doing, I am encouraging you to challenge “business as usual” by applying NEW tools/techniques to solve the very real problems you have identified. Pak Budhi, I urge you to look at the prior W3 postings by Pak Adi or Bu Zakiya. Both of them have taken very simple (but very real!!) problems and solved them using the tools/techniques I am trying to get you to learn how to use. This is what I am looking for a SINGLE very real problem analyzed using the tools and techniques advocated by AACE.